This meticulous process enabled the design team to decide how they would create a range of beautiful, functional and timeless products. 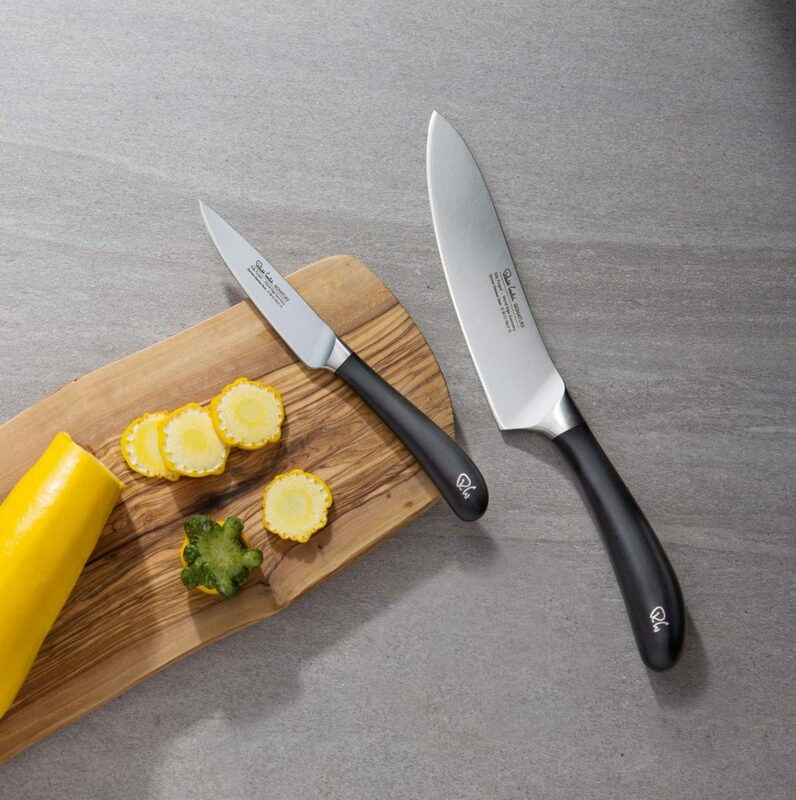 The knife range was developed alongside professional chefs, who rigorously tried and tested a selection of knives produced using different types of steel, and with a variation of different edges, until the right combination of steel and edge was found. After three years, the Signature Knife Collection was perfected, featuring ‘World Edge Geometry’, a combination of fully forged German stainless steel with a hand-applied 15° Japanese-style edge, for superior sharpness. 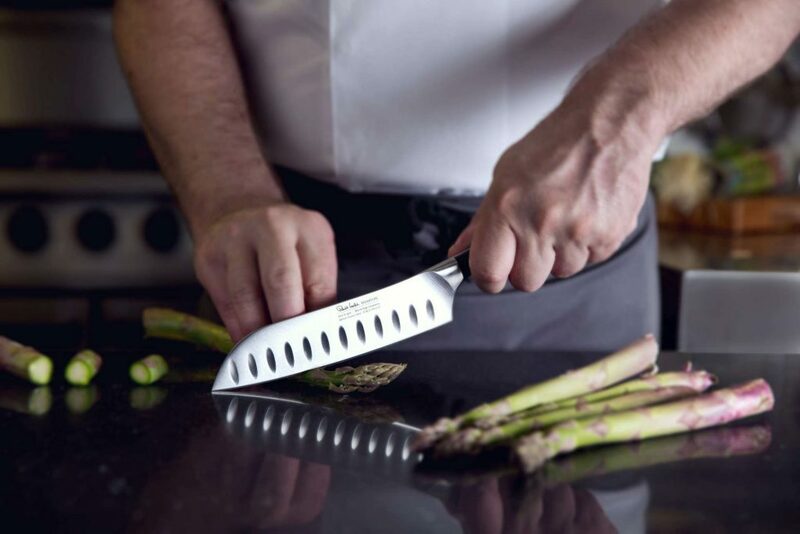 Signature knives are now used by both professional and amateur chefs alike. I) Consider the surface that you use the knife on. 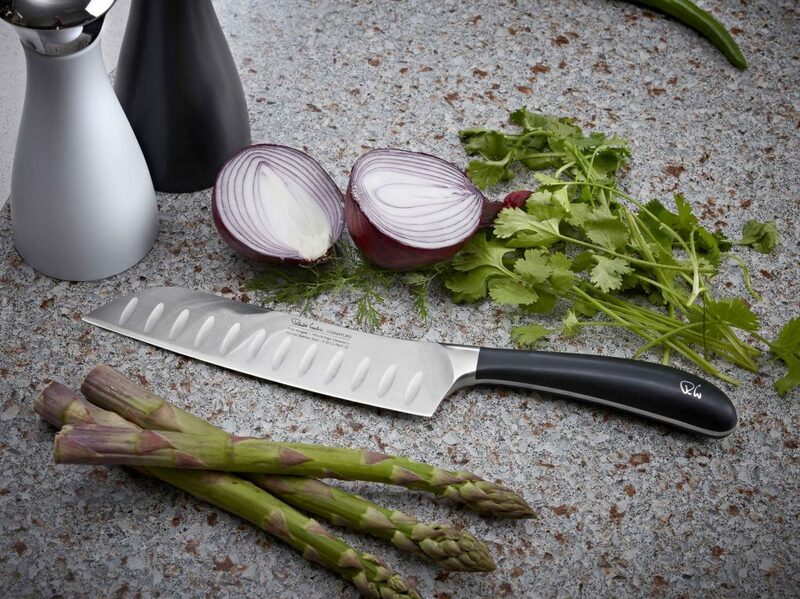 Always use knives on a pliable surface, such as a wood or acrylic chopping board. Hard surfaces, such as glass, marble or granite can damage the blades, whereas softer materials like wood and acrylic are far less damaging. Most manufacturers claim that their knives are dishwasher safe, and they are. However, if knives are washed by hand, using warm soapy water, and then dried individually, they will stay sharper for longer. Washing knives by hand like this minimises the damage to the blade. When it comes to sharpening, it really is up to the individual. Robert Welch have developed a hand-held sharpener which is easy to use, but some people prefer a traditional steel. Whatever your preferred method, knives should be honed and sharpened regularly to keep their cutting edge. With careful sharpening, knives can be maintained indefinitely. IV) Choose the right blade. V) Store your knives correctly. There are different ways to store knives; chefs will use a roll or case to transport their blades, but at home people tend to use a knife block, magnetic rack or drawer. If you’re keeping knives in a drawer then invest in some sheathes to cover the blades. This will protect the blade from clashing with other tools in the drawer but will also protect your hand from cuts if you reach in without looking! Robert Welch Knives our a ‘Partner of ICSA’ sharing our core values in both professional and domestic catering.